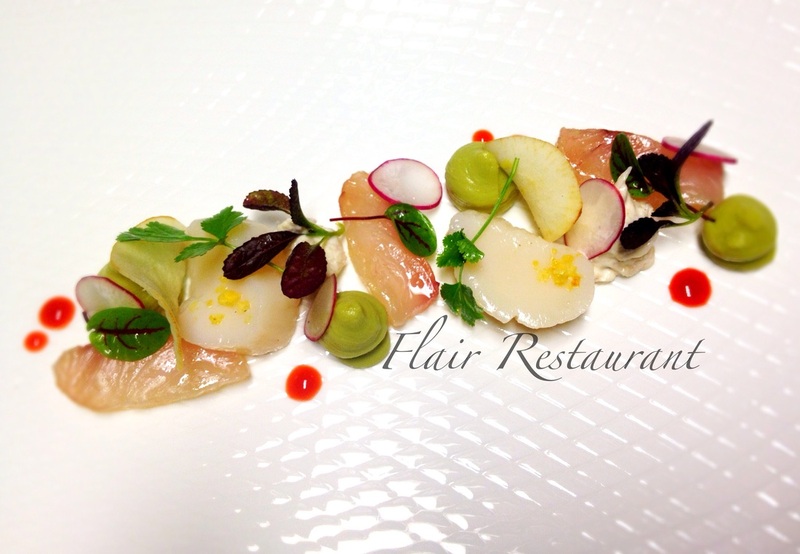 Flair Restaurant is small, intimate restaurant located in Erina Heights on the Central Coast of NSW. Owner’s, Jason and Deysi Martin offer a unique dining experience to the Central Coast. Incorporating influences from his travels,Jason provides modern Australian food with flavours which include European, Asian as well as Latin. Jason takes classic flavours and classic dishes and re-invents with a unique and modern twist. Flair uses fresh, local ingredients sourced where possible, from local suppliers. Thank you to all our family,friends Staff &loyal customers for all your support over the past 4 and a half years. Relaxed Atmosphere with contemporary Food. With 16 years of experience,having extensively travelled and as well as numerous accolades through out his career,not to mention he is a native to the Coast,Jason strives to offer a different experience and provide diners with a memorable experience. 6 course tasting menu $75p/person or $130 with wine. VEGETARIAN $70p/p or $125 with wine.